I’m relatively new to Hinduism so I was just wondering if someone could tell me what is written on Hanuman’s chest in this picture, I can’t seem to find any information online about it. Ram is written on Hanuman's chest. It is written in Devanagri Script. It is the name of the seventh Avatar of Vishnu who is one of the three major gods of Hinduism the other two being Bramha and Shiva (Mahesh) who are collectively called as Bramha-Vishnu-Mahesh. Rama goes into exile with his wife Sita and brother Lakshman. While in exile he meets Hanuman who is his greatest devotee and also an avatar of Shiva. While in exile his wife is kidnapped by Raavana who is the Demon King of Lanka. So Rama fights a war with him and kills him and frees his wife Sita from him. 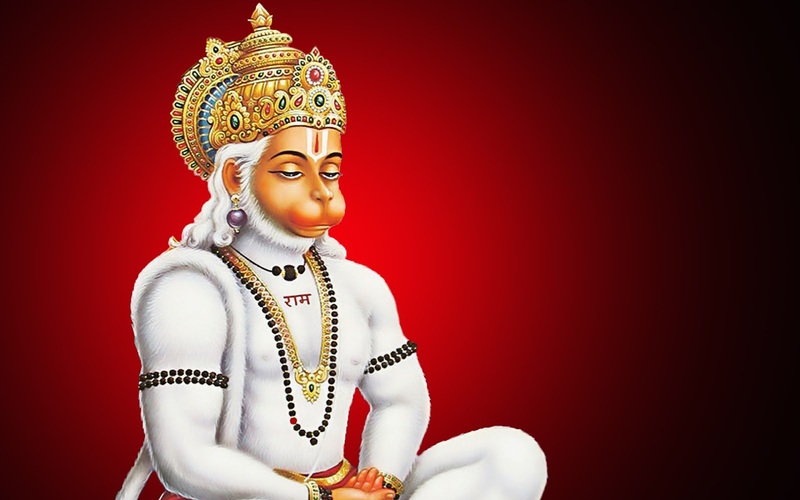 Ram is written on the chest of Hanuman in the above picture.